The Port Townsend Marine Science Center is excited to have underwater videographer Florian Granar. Granar will be showing sequences from Beneath the Salish Sea as well as footage from recent projects here and in Europe. Florian Granar holds a Ph.D. Marine Biology with specialization in marine mammals and works full-time as a freelance marine cinematographer. Being a qualified marine biologist, he brings professionalism and extensive subject knowledge to his films. Granar’s cinematography assignments have taken him around the planet. He has worked on many film assignments for the BBC including PACIFIC ABYSS, AMAZON ABYSS and THE BLUE PLANET; the UK documentary company Icon Films; the German television company NDR Naturfilm. He is currently completing a presentation for National Geographic Channel. Florian grew up diving in Germany, and became a certified research diver with the Biological Institution Helgoland (B.A.H.). He has since lived (and dived) in Norway, along spectacular Sognefjord, Norway's longest and deepest fjord; and in the US, in quaint Pacific Grove, on California's scenic Monterey peninsula. Florian and his family now live on Whidbey Island, where he dives and films in the waters of the Salish Sea. His production company, Sea-life Productions, films and produces wildlife documentaries. 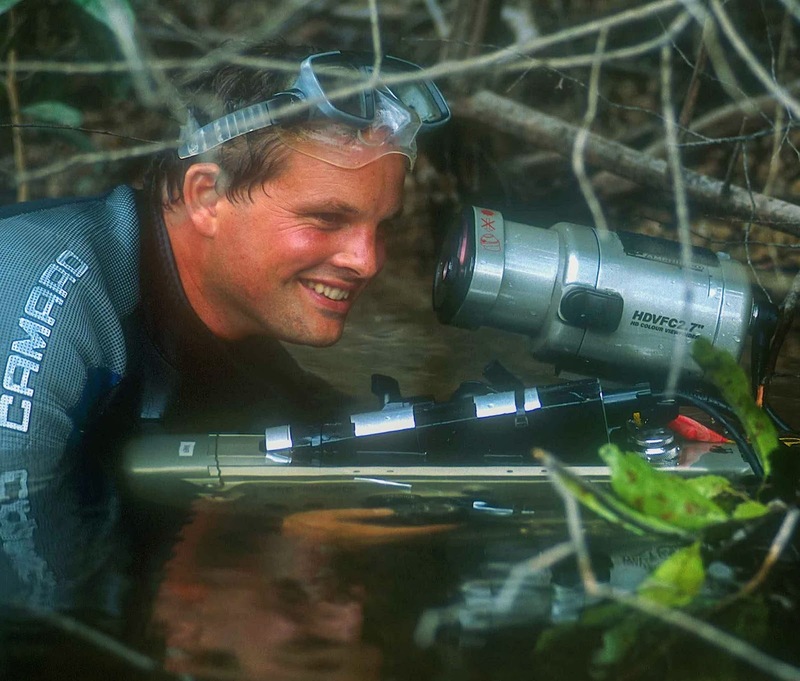 Florian is constantly pushing forward the boundaries, in terms of diving methods and camera technology, to bring unique images back to the surface. He hopes that this provides a resource for promoting the conservation of a truly global domain...the oceans. Visit him at www.sealife-productions.com, and for a trailer showing his work for a German film on the North Sea, view the video below. View the event poster here. Join us for a Winter Wildlife Cruise!